The debate over replication in psychological science is hardly new. Should psychologists prefer direct replications, which attempt to recreate the original procedures of a study as exactly as possible, or conceptual replications, which attempt to manipulate the theoretical variables in an experiment in novel ways? Most recently, this topic was raised in the context of a special section on behavioral priming in the January 2014 issue of Perspectives on Psychological Science. Full Disclosure: One of my colleagues (Joseph Cesario) wrote an article that was submitted in this special issue. Though the opinions expressed in this article are my own, I have discussed similar issues with him previously. I read over the articles in this section and am glad that the researchers have taken up the challenge of addressing concerns that behavioral priming research is nonreplicable. Although this issue is a concern across psychological science, behavior priming has unfortunately become the poster child for failures to replicate, as evidenced by Nobel Laureate Daniel Kahneman’s open letter to priming researchers on a “train wreck looming” for the discipline, and the failure of the Many Labs Replication Project to replicate two behavioral priming experiments. One article in the special issue stuck out to me, Stroebe and Strack’s (2014; hereafter S & S) manuscript on the illusion of exact replication. In a nutshell, they propose that no replication is ever really exact, and that even if a replication were to be exact it would not establish the generality of the effect. They strongly recommend researchers conduct conceptual replications, which are designed to specifically investigate the extent to which research findings will generalize beyond the experiment itself. A researcher is interested on the effect of message strength on attitude change. The researcher designs a strong version of a particular persuasive message (message “A”) and a weak version of the same message (message “a”). He finds that after reading message A, participants demonstrate more attitude change on attitude measure X, compared to reading message a. The researcher wants to establish the generality of the effect, so he or she designs different messages (messages “B” and “b”) and finds that, as predicted, B has a greater influence on attitude measure Y. If the experimenter is particularly conscientious, perhaps he or she repeats the experiment again with different messages and attitude variables. The problem with this scenario two-fold. First, it is not systematic. What the researcher wants is to show that the effect of attitude change is not limited to a particular set of stimuli (i.e., messages), outcome measure (i.e. attitude), or sample (i.e., group of participants). However, this kind of design only allows for generalization across the latter, and not the former. Secondly, it allows for a great deal of researcher degrees of freedom. Researchers can easily drop messages that do not “work” or even whole experiments that do not find the predicted effect. The second issue has been covered extensively by others (e.g., Simmons, Nelson, Simonsohn, 2011), so I focus my attention on the former, that conceptual replications are often not systematic in their approach. Consider S & S’ thoughts on the matter, “If a conceptual replication using a different operationalization of both constructs had succeeded in supporting the theoretical hypothesis, then our trust in the validity of the underlying theory would have been strengthened” (p. 62, emphasis added). However, it is easily apparent why this kind of logic is flawed. While changing one set of variables (e.g., the message or attitude change of variable) would help to increase generalizability, changing both sets allows for ambiguity. It is unclear whether the same underlying construct is being measured, and failures to replicate are not very conclusive. In other words, only when I hold one set of variables constant can I meaningfully examine differences in the other set. As a more concrete example, consider the fictional message study. If I vary message type (i.e., messages A vs. B) I can determine if the effect of message strength (A vs. a, and B vs. b) holds for both messages (that is, is generalizable) or is specific to a particular message. What does this mean for the practical researcher? Well, one tempting answer is to continue to conduct conceptual replications, but only vary one set of variables. However, even this approach is problematic because it still allows for considerable freedom in what variables are used, and more importantly, are reported. If a researcher uses sets of variables A – E, but only A and B work, it is tempting to only report the studies using the former two. Ultimately, this option is less than desirable. However, there is another option—a better option—that directly tests the assumption of generalizability in a systematic fashion: treating stimuli as a random factor. Psychologists are typically familiar with what random factors are, but Judd, Westfall, and Kenny (2012) give a concise definition: “random factors are factors whose levels are sampled from some larger population of levels across which the researcher wishes to generalize, whereas fixed factors are those whose levels are exhaustive” (p. 55). The most commonly encountered random factor is participants themselves. Psychologists sample individuals from a larger population of interest with the hope of making inferences that extend to this larger population. No one cares that undergraduates from Michigan State University are more likely to donate money after hearing a persuasive message from a speaker. However, this result is interesting if it can be generalized to other people. Researchers often want to reach conclusions that generalize over levels of factors, such as the conclusion that people are more likely to be persuaded by strong messages than weak messages. However, instead of sampling from theoretical populations of strong messages and weak messages, they often choose a specific example from each. In the example I gave earlier, this would be like choosing strong/weak messages A/a. However, both of these messages are just one example of strong and weak messages; the researcher could just as easily have chosen messages B/b, C/c, and so on. This makes the experimental results ambiguous. The experimenter wants to conclude that the strength of the message is what influenced its persuasiveness, but differences could also be the result of a particular bias in the stimuli. Conceptually replicating the fictional message experiment with different message types does little to demonstrate its generalizability, because the number of stimuli needed to generalize over a population is greater than the number typically included in a typical psychological experiment (typically one, two, or four). Judd, Westfall, and Kenny discuss this extensively in their 2012 paper, but the take-home message is that more stimuli is better. When factors are treated as random, sampling more variable stimuli (e.g., participants, messages) imposes higher demands on the researcher, but it provides concrete evidence of generalization. While I do not disagree with S & S’ position that conceptual replications are useful for the generalization and advancement of psychological science, their encouragement of unsystematic replication undermines the goal of generalization. Psychologists aiming for generalization should consider conducting fewer studies but with more proper methods. Treating stimuli such as message type as a random factor is a way of obtaining conclusions about generalization that are supported by statistical evidence, rather than theoretical conjecture. This entry was posted in Replication on January 25, 2014 by David Johnson. My colleagues (Felix Cheung and Brent Donnellan) and I recently completed a replication of a paper by Schnall, Benton, and Harvey (2008) on the effect of cleanliness on moral judgment. We directly replicated both experiments in the original manuscript; this report will be published in Social Psychology in early 2014. We also conducted a online replication to recruit a larger sample size (n = 731) in order to obtain more precise parameter estimates. Details on this study (and an overview of the two in press replications) can be found on a blog entry from Brent Donnellan’s site. The data can be found here. This entry was posted in Null Results, Replication on December 25, 2013 by David Johnson. 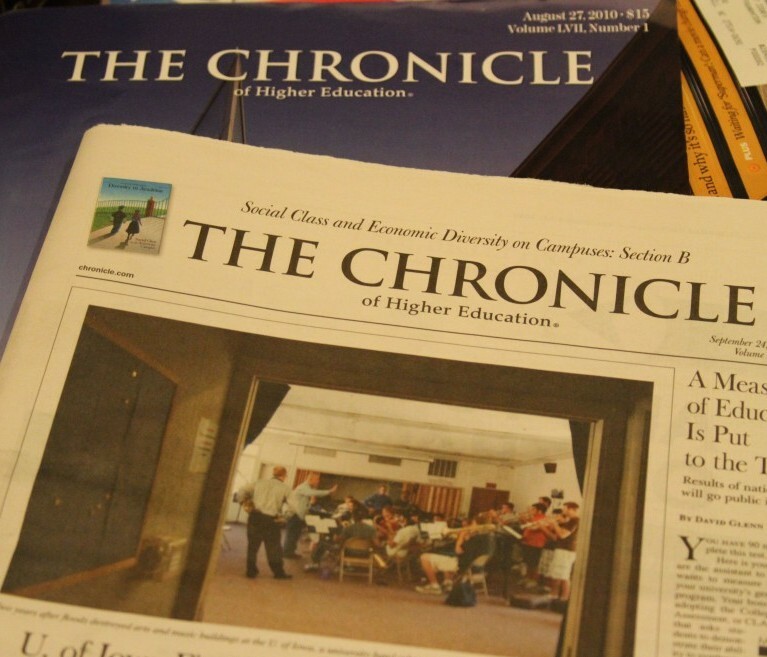 Tom Bartlett of the Chronicle of Higher Education posted a very even-handed and nuanced article about the state of priming research that you can read here. Though the article is centered around an interview with John Bargh, the “father” of behavior priming, Bartlett also interviews and gets opinions from other well known priming researchers (and replicators) including Ap Dijksterhuis, Hal Pashler, and Joesph Cesario. Why not do an actual examination? Set up the same experiments again, with additional safeguards. It wouldn’t be terribly costly. No need for a grant to get undergraduates to unscramble sentences and stroll down a hallway. Bargh says he wouldn’t want to force his graduate students, already worried about their job prospects, to spend time on research that carries a stigma. Also, he is aware that some critics believe he’s been pulling tricks, that he has a “special touch” when it comes to priming, a comment that sounds like a compliment but isn’t. “I don’t think anyone would believe me,” he says. This is not the attitude a researcher should have when defending his work. If you believe in your work, like Bargh clearly does, then you should back it up, not hide away from controversy. If the priming effects Bargh demonstrated in his now classic paper (1996) are “real,” then why would he worry that his students would be wasting their times by researching something that has been stigmatized? Furthermore, this explanation hardly maps onto reality. A quick look on Bargh’s lab website shows continued research on behavioral priming (albeit less productivity). Bargh contends that we know more about these [priming] effects than we did in the 1990s, that they’re more complicated than researchers had originally assumed. That’s not a problem, it’s progress. And if you aren’t familiar with the literature in social psychology, with the numerous experiments that have modified and sharpened those early conclusions, you’re unlikely to successfully replicate them. Then you will trot out your failure as evidence that the study is bogus when really what you’ve proved is that you’re no good at social psychology. In other words, if it worked for you, why doesn’t it work for me? If there really are moderators that are so subtle that conducting a direct replication of the work—just as Hal Pashler did—fails to produce the same results, then it just doesn’t make sense to prescribe strong arguments for the utility of priming on behavior change. On a related note, the original effect size that Bargh found in his behavioral priming research on walking speed (Exp. 2; 1996) was a whopping d = 1.08 for the elderly primed group v. neutrally primed group, suggesting a strong effect that would unlikely be erased by subtle changes in experimental protocol, especially as far as a direct replication is concerned. It was never claimed that priming warmth is a cure for depression. There is need to develop public health interventions including interventions based on priming. Clearly, it is too early to conclude what is the merit of these interventions as research is still very young. Thus, it appears that the “coldness” of loneliness or rejection can be treated somewhat successfully through the application of physical warmth—that is, physical and social warmth might be substitutable for each other to some extent…Our experimental evidence suggests that the substitution of physical for social warmth can reduce needs for affiliation and emotion regulation caused by loneliness and social rejection, needs that characterize several mental and social disorders with major public health significance. While the authors aren’t preaching on soapboxes about the health benefits of long, hot showers, they certainly more than hint that people with mental disorders (of which depression is one) might benefit from longer showers. But they key issue here is more whether Bargh and Shalev are couching their argument appropriately. When tiny effects are reported in ways that are easily misunderstood by casual readers (especially reporters and the lay person), it is easy to create a false consensus that perpetuates itself and leads to misunderstanding. And that is never good for science. It’s not the case that skepticism about priming research should lead us to believe that all studies are unreliable and should be discredited. Nor is it a call to arms against any one person or a witch hunt against John Bargh. What is important is that priming researchers (and psychologists more generally) be more open about their research, so that we can weed out the unreliable work to get down to findings that are credible, replicable, and useful. 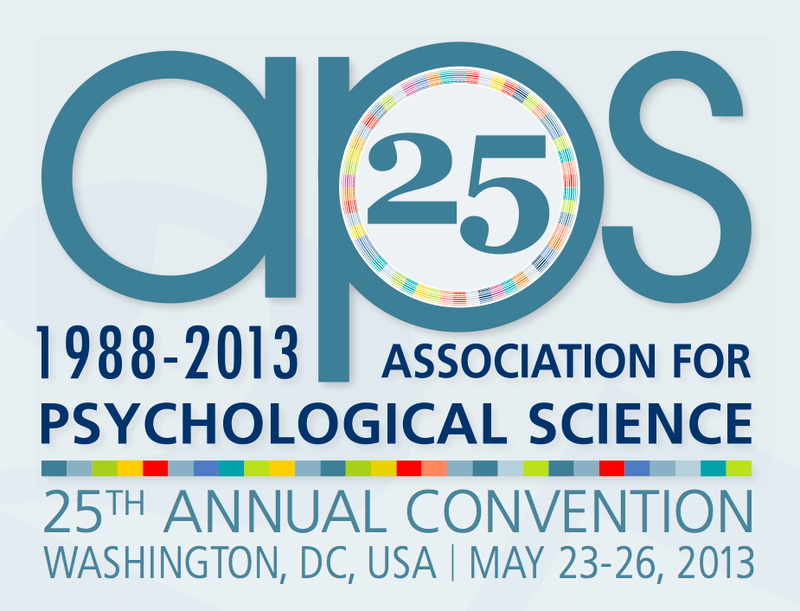 This entry was posted in Psychology News, Replication on February 8, 2013 by David Johnson. 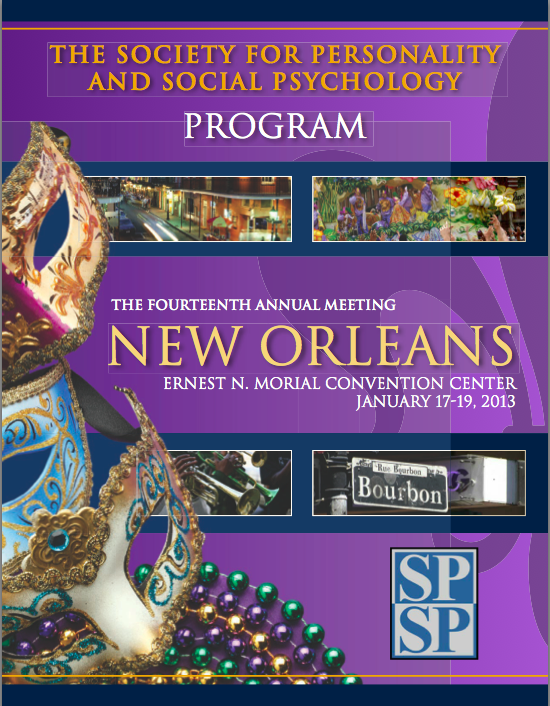 The 14th annual Society for Personality and Social Psychology (SPSP) conference was held in sunny and (relatively) warm New Orleans January 17th – 19th. The inspiration for this blog post came after listening to a particular symposium chaired by Leif Nelson with Uri Simonsohn and Joseph Simmons, the same three authors that in 2011 published a now well-known article on false positive psychology in Psychological Science. A false positive results when the null hypothesis is incorrectly rejected; that is, when we determine that there is an effect of a manipulation when there isn’t one. By using “researcher degrees of freedom” (e.g., reporting only effective dependent variables, sampling till significance, using covariates, and reporting only subsets of experimental conditions), these authors argued that the false positive rate in psychology—which is set at a maximal rate of p = .05—is actually much higher. Are false positive results a big deal in (social) psychology? Well, for starters in November 2012 there was a whole issue in Current Perspectives devoted to replication in psychology that generated a lot of discussion (you can read my take on it here). If attendance at this symposium is any indication, psychologists are very interested, drawing enough people to fill one of the convention center’s largest rooms. This audience was clearly attentive as well, gasping at all the appropriate moments like a well-mannered crowd of moviegoers. The symposium centered around an extension of the work on researcher degrees of freedom: p-curve, an analytical tool for examining whether a researcher has utilized researcher degrees of freedom. This process is also sometimes referred to as “p-hacking,” signifying that a researcher might attempt to modify their data or analyses until they reach the revered p = .05 level. Leif opened discussion on the p-curve with a simple statement: everyone is a p-hacker. This bears repeating. It’s time to quit denying that we don’t posture our data and results in ways that make them more compelling. Many times these decisions are logical (enough) and relatively harmless. However, the more researcher degrees of freedom we engage in, the less certain we can be that our conclusions are warranted. The usefulness of the p-curve lies in its ability to investigate sets of p-values to determine whether data has been massaged to the point where it loses credibility. Said slightly differently, it’s not that we can never utilize researcher degrees of freedom, especially when they may make theoretical sense in a given situation. But using them expressly to achieve statistical significance, especially by compounding them, leads to data that has no integrity. Essentially, the p-curve is just a representation of all the p-values for a given set of related experiments, such as studies on the same effect, from the same researcher, or included in the same journal. A typical p-curve for a real effect will not be evenly distributed, but most of the obtained ps will fall closer to or much below the p = .01 level, indicating it is highly improbable that both groups (or means, or treatments) were pulled from the same overall population. In contrast, when the null hypothesis is true (i.e., there is no difference between groups), values are equally distributed along all probabilities. This is because it is equally likely to get a p of .99 or .01 when the null is true, as the the probability of obtaining each p is equal to 1%. (If you’re a visual person, Michael Kraus has some graphs that might explain this part better). Why does this matter? Well, it suggests that when the null hypothesis is false, the distribution of p-values will be positively skewed (right skew), with p values of .01 or smaller occurring disproportionately more frequently than values of .04, or .05. However, if individuals have engaged in p-hacking, the opposite will be true: p-values closer to .05 should occur more frequently than lower p-values, leading to a negatively skewed distribution (left skew). Again, the key assumption here is that p-hackers stop engaging in researcher degrees of freedom and data manipulation when they achieve a p-value of .05. Why is this useful? Well, it gives us an estimate of the reliability of the data. To the extent that a set of p-values departs from its expected positive skew, we should question the integrity of those data. If the data are highly negative skewed, this would suggest that the researcher has engaged in researcher degrees of freedom. But is it accurate? I admit I’m drawing my information from the symposium alone and don’t have direct access to the mathematical formulas and stats that these assertions are based off of. But I can say is that the authors argued that a) p-curve analysis can be done reliably with relatively few p-values, b) the analysis is quite reliable at determining altered data, and perhaps most importantly, c) is at extremely low risk for identifying false positives (i.e., misidentifying a set of studies as suspect when there is no reason to suspect them) when studies are adequately powered. But don’t take my word for it, email Uri Simonsohn and ask for a copy of the working paper. Still, the well-informed reader may be wondering where the new information is. After all, these presenters gave a symposium on false positive psychology (including the p-curve) at the 2012 SPSP conference. What is new is that the authors have determined a way to use the p-curve to more accurately determine effect size. While meta-analyses seek to analyze the strength of an effect over multiple studies, a common problem researchers encounter is the “file-drawer” effect, where studies that fail to reach significance often go unpublished, left in the file-drawers of various labs and offices. This results in an overestimation of effect size, because studies that fail to find effects are often not analyzed. Even in the best circumstances, when a researcher is able to get ahold of some of those file-drawer studies (say, by accessing them from the Open Science Framework or Psych File Drawer), it is highly unlikely that the researcher will really get all of the results, making overestimates almost a guarantee. While the ideal situation for determining effect size would be a researcher who is “omniscient” and has access to everyone’s file drawer, this is simply not possible. However, by using the p-curve to determine what studies are more credible than others (i.e., they give less evidence of p-hacking), effect sizes can be more appropriately weighed to give effect size estimates that accurately map the effect sizes of the omniscient scientist. The current author likes to imagine a situation where researchers engaging in meta-analyses calculate the known effect size (a product of the published data) and accompany this number with an estimate derived from p-curve analysis. The point is not to determine which effect size is “correct”; both would provide different and useful information about the data, namely whether the research demonstrates a reliable effect, and, whether that effect is credible, respectively. Why is this useful? Again, for psychology to move away from the oversimplified reject / fail to reject null hypothesis significance testing that has dominated the field for almost a century, reliable estimates of effect size are necessary. Though meta-analyses are great tools for estimating the strength of a certain manipulation, over-estimates of effect size can have huge negative consequences when employed in applied settings. For example, discovering a link between height and IQ is fine, but if that relationship is so weak that you would have to grow roughly four feet to gain a ten point increase in IQ the effect is practically useless. (You wouldn’t want parents stuffing their children’s food full of growth hormone). Properly power studies with at least n = 50 per cell. P-hacking CAN help us learn from the data, but only if we do direct replications. Don’t judge quantity of papers someone has published, judge the quality. As mentioned previously, the paper that this symposium was based off of is currently a work in progress. Information about its publication status can be found here. This entry was completely written based on content from the presentation, and the author takes sole responsibility for any butchering (or oversimplification) of the theory within. This entry was posted in False Positive, p-curve, Replication, SPSP on January 21, 2013 by David Johnson. This November’s issue of Perspectives on Psychological Science focuses on another critical issue in psychological science: the replicability of psychological research. Due to the importance of this issue, the American Psychological Association has actually made the whole issue available free here. To give a brief overview, the main issue discussed in this special issue of Perspectives is a crisis of confidence in research. This crisis is not limited to psychological research; in fact one of the seminal papers on this topic was in medicine, focusing on why “most published research findings are false” (Ioannidis, 2005). More recently, replication has become a hot topic in psychology for a variety of circumstances. To focus on one in particular, the publication of Daryl Bem’s study demonstrating evidence of ESP in social psychology’s flagship journal, the Journal of Personality and Social Psychology (JPSP), raised outrage from many psychologists and recieved considerable attention in the media, even so far as to be lambasted in popular comedic outlets such as Comedy Central’s Colbert Report (link). Since the publication of Bem’s article, several other researchers have failed to replicate its results. So, why was it published in the first place? That’s where it gets tricky. A short explanation on significance testing will help clarify this discussion. Most of psychology relies on NHST (Null Hypothesis Significance Testing) to determine whether a given effect is “real” or not. Effects are tested against a null hypothesis (H0) that predicts no significant difference between conditions, treatments, participants, etc. For example, the null hypothesis for coin flip would predict that the coin will be no more likely to land heads or tails. In other words, the probability that a coin will land heads or tails should be equal: 50%. Why is this important? Remember that Bem’s findings were significant; he found that under certain circumstances participants were able to “see the future.” Rejecting the null hypothesis allows a researcher to say with some degree of confidence that the effects measured exist and are not the result of chance. However, consider the psychologist who does not believe Bem’s claims and seeks to demonstrate that the effect does not exist. He or she replicates his study and fail to find a significant effect of ESP. So, then, has the researcher disproved Bem’s hypothesis? The simple answer: no. The long answer: it’s complicated. Because failures to replicate are less conclusive, it is harder to publish them. But the problem goes beyond mere certainty. Replications in general—especially direct (identical) replications—are shunned from major journals. Failures to replicate may be explained by other factors. On the other hand, by default, successful replications are less novel and interesting, which makes them less marketable to a field where competition for publication space is at a premium. Numerous journals even have explicit policies against accepting replications (JPSP falls into this category). Psychologists are then faced with a dilemma. They can spend considerable amounts of time and resources to test an effect they find questionable, and ultimately fail to publish even if their methodology is sound. Alternatively, they can keep their suspicions to themselves and spend time more “wisely” pursing novel questions that are more marketable. This brings us back to the question of how to weed out “bad” research. While one null result is in itself inconclusive, several null results (as is the case with Bem’s results) raise the question about the validity of the original finding. As long as the replications are methodologically sound and true to the original study (i.e., they use the same materials and procedures to the maximum degree possible), multiple null findings raise a red flag. This is why the current issue of Perspectives focuses on replication as the “gold standard for ensuring the reliability of published scientific literature” (Frank & Saxe, 2012). Most psychological studies are underpowered, making it more likely that over the course of several small studies an experimenter is likely to find a significant effect (in comparison to one large adequately powered study). (Bakker, van Dijk, & Wichters, 2012). Effect size and sample size are negatively correlated in the majority of meta-analyses, partially due to underpowered studies. This implies a strong tendency to selectively report positive results and overestimate effect sizes (Ferguson & Heene, 2012). Research bottlenecks force experimenters to alter their results in order to present aesthetically pleasing results that are publishable. These alterations distort the true effects (Giner-Sorolla, 2012). Not enough attention is paid to the context in which the experiment takes place. In particular, in behavioral priming studies contextual and social cues affect how participants react during experimental sessions (Klein et al., 2012). Addressing these problems will require taking a different approach to psychology than the antiquated system currently maintained. However, I can offer some (slightly) optimistic news. While it goes beyond the scope of this article, the special issue of Perspectives is divided into two sections, the former focused on diagnosis and the latter on treatment. There are solutions to the problems of replicability in psychological science, but they will require more than a few articles if we are serious about actually changing the practices that have resulted in this looming crisis of confidence. This entry was posted in Psychology News on November 25, 2012 by David Johnson.